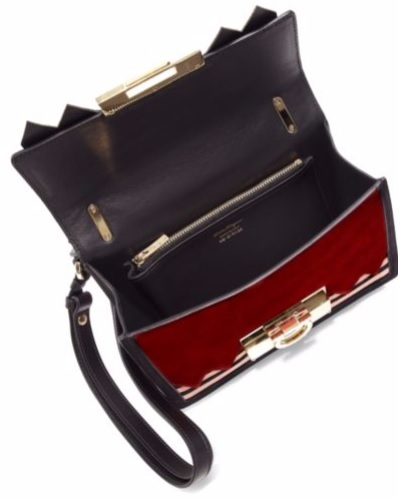 Shop Salvatore Ferragamo at Saks Fifth Avenue. March over to the nearest Saks right now. 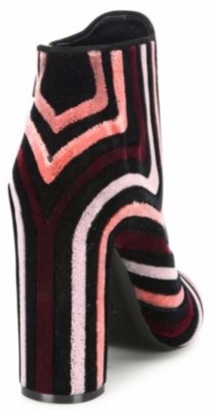 Salvatore Ferragamo - Feel Embroidered Velour Block-Heel Booties style # 0400089991520 at Saks Fifth Avenue. 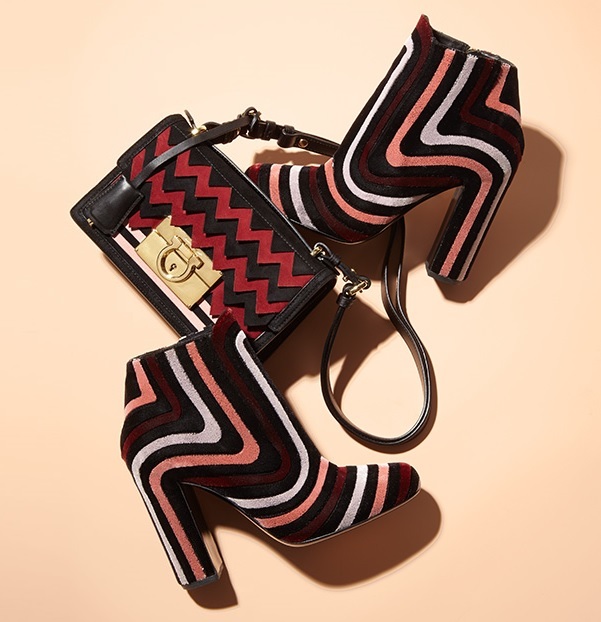 By the way, if you like the bag in the picture above, it is the Salvatore Ferragamo Multicolor Suede Chevron Crossbody Bag Style # 0400090006520 at Saks.